How do I buy a Honest-1 Auto Care Franchise? Honest-1 Auto Care is an car repair franchise committed to being the most trustworthy auto service provider today. To buy a single unit requires a start up cost ranging between $205,650-$659,150. Honest-1 provides franchisees with tools and support they need through H-1 University, and four separate schools to ensure that students receive the precise courses they need to be successful. Ongoing training and support extends well beyond the H-1 University classroom. 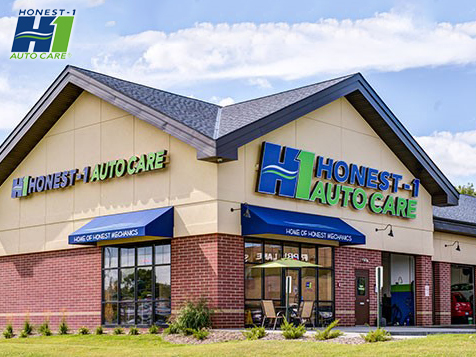 Honest-1 Auto Care: An Incredible Franchise Ownership Opportunity. Honesty, integrity, and an unwavering adherence to the highest ethical practices are what define Honest-1. But around that core is something equally as important - a unique and innovative customer-centric model and approach that greatly increases our value and appeal and keeps customers loyal. Open Honest-1 Auto Care in any of these available states: AZ, CA, CO, FL, GA, IN, KY, MN, NJ, NC, OH, OR, SC, TN, TX, VA, WA. Honest-1 Auto Care is not currently active in our directory, but here are some other recommended selections for you to explore.